Short biography. 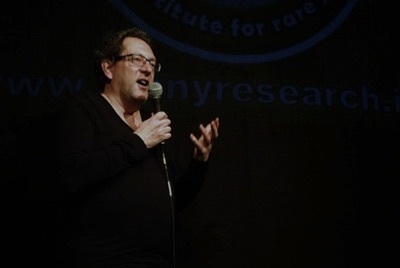 I am Emeritus Professor of Psychology at the University of Dundee, Scotland, and a writer, science journalist, public speaker, and comedian. I was formerly Chair of Cognitive Psychology at Dundee, where I was Head of Department and then Dean from 2003 until 2014. I am now a full-time writer and speaker. I am author of several books, including the best-selling text The Psychology of Language, currently in its fourth edition, and The Psychology of Weather. I am currently writing The Science of Consciousness. My research interests are wide, including language, consciousness, sleep and dreams, ageing, futurology, and psychology and the weather. I have suffered all my life from severe anxiety and depression, another topic of my research, and write, talk, and blog about it. About me. For an extended biography. Books. For details of my books,including the Psychology of Language, Talking the Talk, The Psychology of Weather, The Science of Consciousness, Science and Psychology, my novel Fit for a King, and more. Language. Material related to my language books. Consciousness. Material related to my consciousness book and consciousness research. Weather. Severe weather events in Britain, recent weather, and material related to my psychology and book and research on that topic. Mental illness. My struggles with and my blog on mental illness. Please note I have recently updated my site and not all year links are working in the weather section yet. I don't put any cookies on your computer or store any information about you.